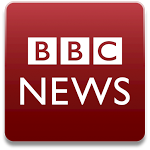 The BBC News reader on Android got an update today that should please the pixel poppers among the audience. The app has been optimized to take advantage of Super Mega Ultra dense displays like on the Xperia Z and Droid DNA (to say nothing of the upcoming HTC One and Galaxy S 4). A pile of bugs have been squashed in the new update as well. This is a major update of our app, with improved performance and image quality. The app is now optimised across different screen sizes and we've also fixed a number of bugs. We're interpreting that last line about reflecting the "look and feel for Android devices" to mean HOLO Y'ALL! Or something along those lines. The addition of widgets for all devices is also welcome. If you've already got the app installed, just hit the update button. Otherwise, grab it from the widget below.